Pours a cloudy yellow with a bit of an orange tint. The head develops rapidly and reaches four fingers of thickness. It is white and very fluffy. The head retention is insane. It literally doesn’t recede until you drink it. The aroma is earthy and a little grassy with some sweet malts. The hop smell is amazing and screams quality ingredients. There are some light fruit notes – maybe bananas and oranges. Quite understated but adds a bit of complexity. The taste echoes the aroma with added elements of lemon and some spice – cloves maybe? The taste is sweet from the malts but balances with the floral hops and the funky belgian yeast. The alcohol becomes increasingly more apparent as it warms but is never overpowering or unwanted. 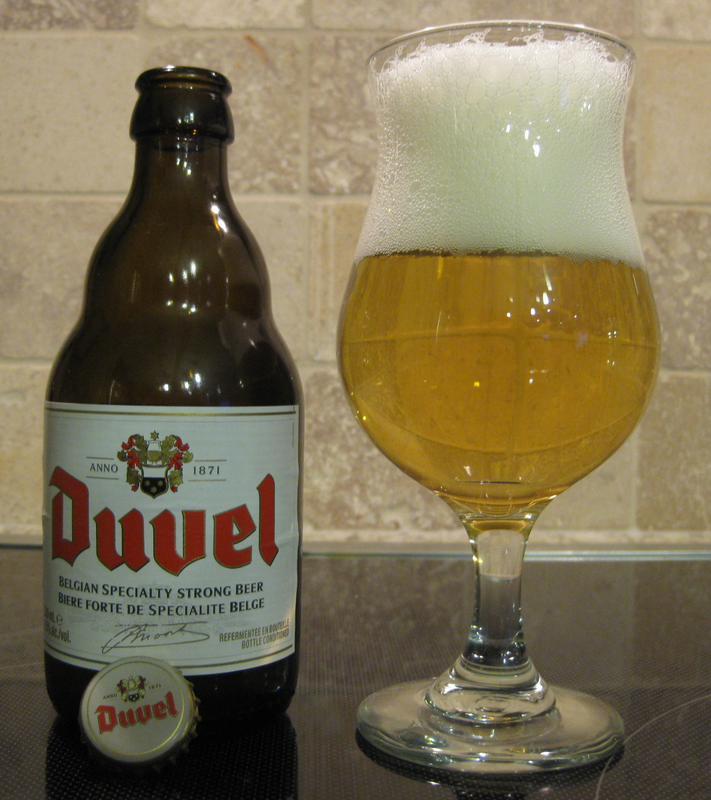 The beer has a moderate body and medium to high carbonation with a dry finish. The beer is very effervescent and is mesmerizing to just watch through the bottom of your tulip glass. Pours a very murky dark brown with a fairly large fizzy head. Head retention is impressive but leaves minimal lacing. Aroma is a veritable buffet of dark fruits including raisins, plums, figs and grapes. There are notes of caramel accompanied by yeast, molasses and some brown sugar. It is an incredibly complex aroma that took me several minutes and a dozen sniffs to dissect and I still think there are more notes to uncover. The flavor is a rich combination of the same notes in the aroma. I taste some chocolate that didn’t stick out in the nose along with the raisin, plum, fig, grape, caramel, yeast, molasses, and brown sugar. You can barely taste the 11.3% ABV hidden amongst the flavors but you are reminded it is there with the pleasant warming feeling the brew brings as you swallow. I would describe the beers dominant flavor profile to be sweet rather than bitter. 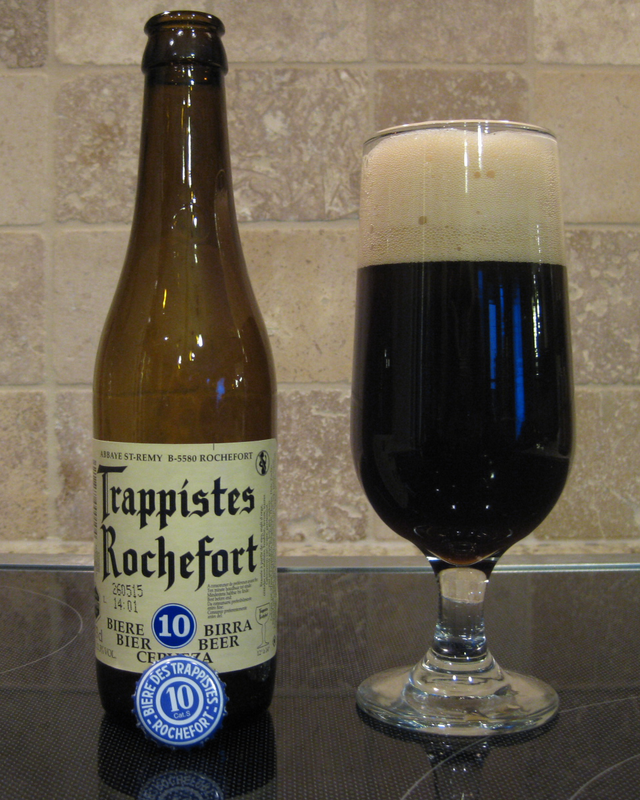 The mouthfeel is medium bodied and smooth with medium carbonation. I find the beer goes done smoother and smoother as it warms to room temperature. A stunning combination of flavors are found in this beer. I would again highly recommend this beer to any beer nerds out there. I am creating quite a streak of amazing beers this past week. Probably because I just decided to do this blog and have been buying all the superstars. One caveat to note – this is a big beer. I wouldn’t be serving this to any beer newbies. You need a developed appreciation for beer before you should tackle this giant.